James COOK [English]: I’m sorry, I don’t understand. Anisa SILVIANA [Bahasa Indonesia]: Saya tidak paham yang kamu katakan. Christoph PARSTORFER [German]: Tut mir leid, ich verstehe dich nicht. Ria VIDAL [Filipino]: Pasensya na, pero hindi ko naiintindihan ang sinasabi mo. Daria JANSSEN [Dutch]: Sorry, ik begrijp niet wat je zegt. Dayana MUSTAK [Bahasa Malaysia]: Mintak maaf, saya tak faham awak cakap apa. Rendell de KORT [Papiamento]: Mi ta sorry, mi no ta compronde kiko bo ta bisando. Emília VÁMOS [Hungarian]: Sajnálom, nem értem, amit mond. Peter KANG [Korean]: 죄송 한데, 뭘 말했는지 못 알아들었어요. Katie HARRELL [High Balinese]: Ampura, titiang tenten midep. Maria Luisa MACIEIRA [French]: Désolée, je ne comprends pas ce que vous dites. Stephanie TAM [English]: I’m sorry. I don’t understand what you’re saying. SCHOR: … and it comes down to us as a myth about the origin of linguistic difference. WEBER: … but it is definitely important. John McWHORTER: That was a tale created by people for whom different languages were a problem. SCHOR: God’s revenge on the builders of Babel was to blunt our capacity to make ourselves understood and to understand. McWHORTER: It is a very rich story because it depicts the multiplicity of languages as a scourge. SCHOR: The curse of Babel is an existential condition in which we live every day. WEBER: This is both the blessing and the burden: the large number of languages, and different societies dealt with it in different ways. SCHOR: We use language to communicate, but we cannot rely on it to make ourselves understood. GORDIN: The thing that really resonates with me about the story is this sense that common language can produce common purpose, and an absence of a common language can confound that common purpose. Is it neat? Well, that depends — on who you are, where you live, which languages you speak — and which ones you don’t. WEBER: This is both the blessing and the burden. Today on Freakonomics Radio, the blessings and burdens of linguistic diversity. Or, to put it more bluntly, what are the costs and benefits of our modern-day Tower of Babel? MCWHORTER: I find it fascinating that there are seven thousand different ways to do what we’re doing right now. McWHORTER: There are many theories as to why people started using language, and some of them are ones where you want it to be true because it’s cool. And: if we could start over, what would that look like? McWHORTER: The truth is that if we could start again, I don’t think anybody would wish that the situation was the way it came out. Angus DEATON in a previous Freakonomics Radio episode: I don’t think we should be spending large amounts of money inside other people’s countries. Rosabeth Moss KANTER in a previous Freakonomics Radio episode: If you don’t pay attention to the people on the other end of that equation, even if you think you have the power, it doesn’t work. Erik Olin WRIGHT in a previous Freakonomics Radio episode: An unconditional basic income, which you could pay for out of the gains from trade. Right? Bryan CAPLAN in a previous Freakonomics Radio episode: I’m very strongly against the universal basic income. McWHORTER: My favorite language ever is Russian. Lera BORODITSKY: I love lots and lots of languages. GORDIN: The French will never speak English. The Germans will never speak French. McWHORTER: Associate professor of Slavic languages and linguistics at Columbia University, and host of the Lexicon Valley podcast at Slate. BORODITSKY: I’m a professor of cognitive science at the University of California, San Diego. SCHOR: I’m a professor of English at Princeton University. WEBER: At the moment, I’m the director of the New Economic School in Moscow. Along the way, we learned that people who like to talk about talking, who have an intense interest in language, often come by that intensity through personal experience. For John McWhorter, it began when he was four. McWHORTER: … when I happened to hear a little girl speaking what I later knew was Hebrew. The idea that she could talk to her parents in a way I couldn’t understand just knocked me out! Ever since then, I’ve been reveling in the fact that there are 6,999 other ways to do this. How do they differ? Why are they different the way they are? That is what got me into language. BORODITSKY: It actually started when I was a teenager. I wassta really argumentative as a teenager and I loved to pick fights with people about big questions. What is truth and what is justice? And liberty and things like that. What I noticed was that a lot of the arguments hinged on how we used these words, the meanings of the words seemed to shift as the conversation went on, and different people use the words differently. At first I thought, “If I study language, I’ll be able to get to the bottom of what truth and justice and liberty really are.” Then, as I started actually studying language, I learned exactly the opposite is true — that these meanings are constructed in conversation, constructed in context. As for the Russian-born Weber, his interest in language came from living in many different countries. This included a stint in Canada, where he was expected to lecture in English. WEBER: First of all, all of my lectures were written. There was no place for improvising, so I prepared sleepless nights, sleepless days. Then, the very sad thing happened to me. I prepared the material for my lecture. Lecture was 90 minutes, but I was running out after 50 minutes. So the 40 minutes — I had nothing to say. This experience, I will never forget! No, I tell my children: “Standing in front of room of 200 students — after you overcome that, you can do many things afterwards.” It was really painful, but taught me a very good lesson. I always came prepared after that. For Shlomo Weber, it was a lesson learned. For the young John McWhorter and his Hebrew-speaking friend, the ride was just beginning. McWHORTER: I sobbed like a child. And I was a child. DUBNER: I could see a thought process going one of at least two ways: one would be the infinite possibility and how exciting that is — or maybe not infinite but the expansive possibility. The other would be this existential, “Holy cow, that makes life more difficult than it needs to be.” Which way did you go? McWHORTER: In thinking about my despair in finding out that my little Shirley spoke Hebrew, I have to peel back the layers of the onion to remember how much of a burden, what a tragedy a foreign language seemed to me at the time. I didn’t like that suddenly this girl — and she and I were seeing each other to the extent that you can be having a romantic relationship at four, you know, holding hands. To the extent that she could talk in this way that I couldn’t understand or produce, I was losing her. As time went on, my feelings started to be, “I’m going to learn to do that.” It’s my Mount Everest. I’m not an athlete but I’m a ‘linguete,’ so to speak. But originally, it was a barrier to communication and connection. Of course, in my mind, there were maybe two languages: English and this thing called Hebrew. I didn’t know how many others there were, I didn’t know what the task would be. DUBNER: I’d love you to talk about the origin of language briefly. McWHORTER: Stephen, it’s so hard, because there was no way to record it and it happened long before there was any writing. If humanity had existed for 24 hours, writing comes along at 11:06 p.m. It was a long time ago and there’s no other species that’s creating fluent, complex language. There are many many theories as to why people started using language, and some of them are ones where you want it to be true because it’s cool. There’s one theory that it started with people singing and that that became language. There’s another theory — and this is interesting — the idea is that humans are the only primates who aren’t hairy enough for infants to hold on all the time because there isn’t enough hair. So you have to put the infant down while you’re foraging.There’s a theory that speech began because human women could coo at their child and keep the child calm, as opposed to, if you’re a chimpanzee where the child can always be up against you. But I think it probably started with humans needing to group together to scavenge animals dead at a distance that were too big for one human, or even one little group of humans to deal with. DUBNER: Regardless of why language started and developed as it is, I would think that there would have been a large incentive for everyone to speak the same language. Whether it’s utilitarian, or gossip, or singing, or cooing to one’s family, it would just seem like there’s a lot less transaction cost if we’re all speaking the same language. How did it come to be and why did it come to be that so many languages bloomed? McWHORTER: Language is inherently changeable not because change is swell but because as you use a language over time and you pass it on to new generations, brains tend to start hearing things slightly differently than they were produced. After a while you start producing them that way. Next thing you know, you have a new sound. DUBNER: It’s Telephone before there is such thing as a Telephone. McWHORTER: It is exactly that. That is as inherent to language as it is inherent for clouds to change their shape. It isn’t that that happens to some languages and not others. That’s how human speech goes. DUBNER: Is a lot of the linguistic diversity or the linguistic splintering that we’re talking about largely a function of the fact that spoken came so much before written? If there had been written that we wouldn’t have splintered? McWHORTER: If writing had come along immediately, quite certainly there would have been less change from place to place. But instead, because until really about 10 minutes ago language was just spoken, it was allowed to change at the speed that it normally does. That change can happen in any one of various directions, which means that once you have two human groups, then their language after a certain period of time is not going to be the language that the original group spoke, just because say the sound “ah” might become “eh.” It might become, “uh.” You can see how a language would become a new one over time. Next thing you know, you have thousands of languages instead of one just because languages change like cloud formations. DUBNER: Given our pretty advanced development of language and communication, what are the big problems with language as it now exists? McWHORTER: Well, we have 7,000 languages, and it’s safe to say that about half of them are severely endangered. Another thing that many people would consider a bad thing is that certain, roughly 20, big, fat languages are eating up so many of these small ones. What makes this regrettable to many, and quite understandably, is that the one that’s having probably the most success is English. English is this one language that was the vehicle of a rapaciously imperial power and now America is the main driver. That language is eating up all of these other languages, and in some ways, their cultures. GORDIN: About 1200 to roughly 1750 is the period of time when you could expect that everybody interested in how falling bodies behave or how the circulation of the blood works would be able to read Latin. So there are a lot of factors that may influence whether, or how broadly, a given language will spread. But the central conflict, it seems — the central question we should be asking about language here on Earth 1.0 — is this: what is the right amount of linguistic diversity? Is 7,000 an acceptable number of languages for 7-plus billion people? Is … one… a better number? Let’s think about it, first, on a personal level. What language or languages do you speak? What benefits do you think that confers — whether economic, cultural, or otherwise? What do you think you lose by not speaking other languages? And how do you feel about people who speak those other languages? Maybe you think of them as more unlike you than they actually are, solely because they speak a different language? And how much does the language you use to express your ideas and emotions influence the ideas and emotions themselves? These are obviously hard questions, maybe unanswerable. But let’s start with a bit of economic analysis of language. That’s what Shlomo Weber has been thinking about at least since that stressful first lecture he gave in English. WEBER: This experience, I will never forget! DUBNER: That makes me think about the costs of communicating in a language that you don’t have mastered. If you just think about the cognitive stress — literally, your brain is working hard on just the language — so it can’t be working on the ideas and maybe the emotional stress and physical stress.What do you think is the effect of all that? WEBER:Oh, it’s tremendous. It’s actually a lot of studies on immigration that show the emotional stress, not only for yourself or your own success; you care for the family. To measure the costs of different people speaking different languages, researchers like Weber use a metric called “linguistic distance.” When it comes to trade, for instance, Weber documented that a 10 percent increase in the probability that two people from different countries share a language increases their trading by 10 percent. WEBER: It is sometimes difficult to isolate the impact of languages but the general statement is: the closer the countries in a linguistic sense, the larger the volume of the trade, and the easier to trade between the countries. DUBNER: Let’s say there are two nations that want to trade, maybe even 10 nations that want to trade. If you can pick one thing that they have most in common in order to make good trade — forget about all the other stuff — would it be a political viewpoint that’s shared, cultural, or linguistic? WEBER: I would say language, if you really separate among the three. The problem is that the linguistic and cultural — they’re interdependent. But one study in The Journal of International Economics found “at least two-thirds of the influence of language comes from ease of communication alone and has nothing to do with ethnic ties or trust.” Furthermore, it found the impact of linguistic factors was still strong even after controlling for “common religion, common law and the history of wars as well as … distance, contiguity, and two separate measures of ex-colonialism.” It’s easy to see how this kind of thing might play out in practice. WEBER: A couple of days ago, I attended the economic forum in St. Petersburg and I listened to this speech of the Indian prime minister. Mr. Modi spoke in [Hindi]. He chose not to speak English. He basically relied on translation — on a single translator, who translated his speech into Russian. WEBER: It was horrible. It was unbelievably bad translation. I was just stunned by the fact he continued to do it. It was obvious that there was no contact with the audience. Audience lost an interest very quickly, because when you give your emotions, your ideas, to some translator you don’t know what will happen. How do you put a price on what gets lost in translation? That’s hard to do — but it’s a non-trivial amount, that’s for sure. But the science here is not very precise. So it’s important to look at the particulars. In general, though? WEBER: In general, the literature showed that linguistic diversity has a negative impact, generally speaking, on economic growth. So linguistic diversity has a negative impact on economic growth. There’s also the roughly $40 billion a year we spend on “global language services” — primarily translation and interpretation. And another $50-plus billion a year spent learning other languages. There are obviously many reasons you might want to learn another language, but the primary driver seems to be economics. We looked at this in an earlier episode called “Is Learning a Foreign Language Really Worth It?” One European study found that a second language could increase your wages between 5 and 20 percent, depending on which language and country. The biggest boost, perhaps not surprisingly, went to those learning English. There are still plenty of places where English won’t do you much good. But at something like 1.5 billion speakers, it has certainly become what John McWhorter calls a “big, fat language” — which is even more striking when you consider that only about 400 million of them are native speakers. GORDIN: The reason why English is so popular around the world or so widely used has to do with the British Empire. GORDIN: Otherwise, it’s the language of a small island in the North Sea that happened to spread fairly globally. Whereas Chinese is the language of a very large land mass that’s contiguous. But the rise of English isn’t all tied to British colonialism. GORDIN: The story is partially about the rise of American power and the attractiveness of American higher education, the desire of people to get to postdocs in the U.S. and to publish in U.S. journals. Consider science, previously dominated in the West by Latin; and in the East by Sanskrit and Classical Chinese. GORDIN: Today, there is basically one common language for communication in the elite natural sciences like physics, biology, chemistry, geology, which is overwhelmingly English. By overwhelmingly, I mean over 95 percent of world publication in those sciences is in English, and there’s never been anything quite like that before. This requires more than just a familiarity with English. GORDIN: What we now demand of people is an extremely high level of both written and oral fluency in English. It’s very hard to get that fluency and it imposes an educational burden on them. You have people in Japan who spend years learning English, when their counterparts in Canada are just learning more science. That creates a mechanism that reinforces the elite status of Anglophone institutions. There probably are people in the world who would be wonderful scientists but can’t get the English, and therefore can’t quite participate in the international community. And if they can’t participate — what kind of science is the rest of the world missing out on? The massive leverage of English in the scientific community — and in other communities — is something you probably don’t think about much if you are a native English speaker. GORDIN: The native speakers of English learn English for free from their parents and the community around them. They benefit enormously from everybody else spending years putting this language into their heads. For a native speaker, that’s the status quo. GORDIN: The problem with the status quo is it’s not fair. The people who benefit the most from it pay the least for it. That again, is John McWhorter. McWHORTER: … is that it’s easy for a generation to start to feel that that language is the real one and so that’s the way that a language can eat up another one. Next thing you know, the kids really only speak English or some kind of English, and the indigenous language is gone. That has happened, for example, to countless Native American languages. To an extent, Native American languages were beaten out of people in boarding schools. But then to another extent, where that damage wasn’t done, there was often a sense that, “English is what’s spoken. What Grandma speaks is for Grandma, but I’m not Grandma.” All it takes is one generation like that, and the language is gone. Linguists predict that of the roughly 7,000 languages now spoken on earth, some 3,000 will go extinct within the next century. VIDAL [Filipino]: Ayokong maglaho ang aking wika habambuhay. Cláudia AMORIM [Portugal Portuguese]: Eu não quero que a minha língua se extinga. MUSTAK [Bahasa Malaysian]: Saya tak nak bahasa saya pupus. Justin CHOW [Malay]: Saya tidak mahu bahasa Melayu hapus. MACIEIRA [Brazilian Portuguese]: Eu não quero que minha língua seja extinta. IVANOV [Russian]: Я не хочу, чтобы мой язык вымер! MACIEIRA [French]: Je ne veux pas que ma langue disparaisse. de KORT [English]: I don’t want my language to go extinct. WEBER: Many people died in the war, which easily could have been avoided. BORODITSKY: There are certainly claims about types of thinking that become very hard without language. 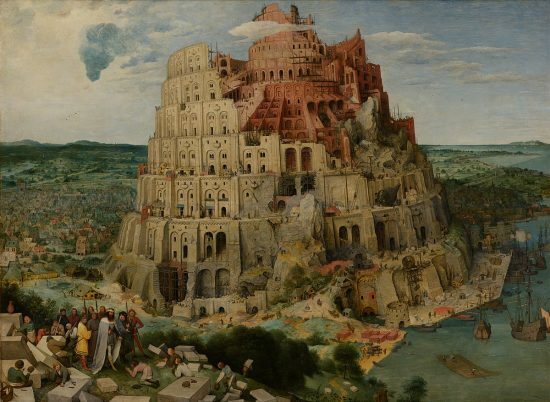 And: is the European Union our modern-day Tower of Babel? WEBER: Yeah, I think so. IVANOV [Russian]: Далее в программе Радио Фриканомики. MUSTAK [Bahasa Malaysian]: … dalam Radio Freakonomics. MACIERA [French]: … sur la Radio Freakonomics. That’s coming up next, on Freakonomics Radio. MACIEIRA [French]: Excusez-moi, où sont les toilettes? AMORIM [Portugal Portuguese]: … pode dizer-me onde é a casa de banho? KANG [Korean]: … 화장실 어디 있어요? MUSTAK [Bahasa Malaysian]: Tumpang tanya, tandas kat mana? MACIEIRA [Brazilian Portuguese]: Da licença, aonde fica o banheiro? VIDAL [Filipino]: Puede pong magtanong, nasaan po ang banyo? IVANOV [Russian]: Извините, где тут туалет? de KORT [English]: Excuse me, where’s the bathroom? WEBER: The bloodiest example actually probably over the course of this century is the Sri Lanka war. WEBER: There was a linguistic war between two groups of people. WEBER: What happened is that Sinhalese majority tried to impose making the language of the majority the only official language of the country. The Sinhalese-led government introduced the Sinhala-Only Act, which Tamil leaders called “a form of apartheid.” Tamil protests turned violent, and that violence begat a full-fledged civil war that would last 26 years. Tens of thousands of people died. WEBER: The reality is that the situation was already tense, but the intensity of the conflict would have been much lower than without this Sinhala-Only Act. The price is just staggering. So many people died in the war, which easily could have been avoided. Tamil was ultimately accorded official status, alongside Sinhalese. It still took a long time for things to settle down. In 2011, a reconciliation commission recommended that schoolchildren be taught in both Tamil and Sinhalese. “It is language that unifies and binds a nation,” their report read. “It is imperative that the official-languages policy is implemented in an effective manner to promote understanding, diversity, and national integration.” So: does language bind us, or divide us? Short answer: both. BORODITSKY: I will say that tribalism develops very quickly. That’s Lera Boroditsky, from U.C.-San Diego. She has found linguistic tribalism in many precincts. BORODITSKY: If you join an online community, for example — let’s say a new TV show that comes out. Within a few weeks, there will be phrases, vocabulary items, and memes that can only be understood by people who participate in that linguistic community and very quickly [it] becomes so that new people who join the community — the newbies — are, at least initially, excluded because they don’t know how to use that set of vocabulary items correctly and they have to spend some time learning. Offline communities have the same tendencies. BORODITSKY: They show a lot of these very common patterns of quick innovation, quick change — which you get in languages all over the world — and a desire to differentiate. People, on the one hand, want to communicate with one another but on the other hand, they want to have a shibboleth — they want to have some way of revealing who really belongs and who doesn’t belong. This is called signaling theory. DUBNER: I’m curious to know, from your perspective as an economist, how much value people place on their language in terms of identity and not just usefulness? WEBER: Religion and language [are the] two most important factors in identifying, people identify their selves. People’s attachment to the language is a symbol of their identity and a desire for independence. Everywhere and every case the importance of the language, attachment to language, and importance of education of language of your own children and this language is very difficult to overestimate. McWHORTER: Since we have 7,000 different languages, one of the reasons that you might want to preserve them is that having a separate language in the world that we know is part of being a culture. McWHORTER: You don’t absolutely need one because I don’t want to say that an American Jewish person isn’t really Jewish unless they speak fluent Yiddish or Hebrew. But it certainly does help. When you don’t have the languages, it’s easier for the culture to disappear. It is partly our fondness, our acceptance of diversity, which is a major philosophical advance over the way people felt as recently as say 70 or 80 years ago. Again, the question becomes: how much linguistic diversity is the “right” amount? Here’s one answer: enough for anyone to feel connected to the community of their choice, but not so much as to hamper trade or start a war. It’s also worth thinking about the benefits of linguistic diversity, and of language generally, that go beyond the utilitarian. BORODITSKY: There are certainly claims about types of thinking that become very hard without language or become unlikely without language. Boroditsky, you may recall, is a cognitive scientist. BORODITSKY: I do a lot of work on language and cognition — how the languages we speak shape the way we think. BORODITSKY: You’ll see that they think differently from the monolinguals of any of their languages and they do it even when they’re not speaking the language of interest. She’s studied this phenomenon in the lab. BORODITSKY: We bring people in and we teach them new little mini languages and then we measure — in non-linguistic tasks — how they’ve changed the way that they think. Indonesian, for instance, doesn’t include tenses, like English does. So the researchers tested whether teaching Indonesian speakers some English would change how they thought about time. BORODITSKY: We would show people pictures of someone, for example, about to kick a ball, in the process of kicking a ball, or having just kicked the ball, and then test their memory. English monolinguals were better than Indonesian monolinguals at remembering information about time — that is, when the ball was kicked. BORODITSKY: But then when you look at bilinguals — Indonesian/English bilinguals — they start to shift. Indonesian/English bilinguals are better than monolingual Indonesian speakers at remembering when something happened and they also start to value that information more when deciding what’s more similar. There’s some debate over the reliability — and significance — of this sort of lab finding. BORODITSKY: Take the example of color: languages divide up the color spectrum differently. You can show that people who speak a language that makes a distinction — for example, between light blue and dark blue, the way Russian does — they are faster at distinguishing shades of blue if they fall on opposite sides of the color boundary. But they’re faster by a few hundred milliseconds. For theories of perception, it’s a big deal. For practical purposes, it’s not a big deal. And, again, the so-called “bilingual advantage” isn’t a slam-dunk empirical fact. There is, however, some compelling evidence suggesting that bilingualism may delay the onset of Alzheimer’s and dementia. BORODITSKY: Very often people ask me because people have heard bilinguals have increased cognitive control, or they can do a little bit better on the Wisconsin Card Sorting task— which is a task of switching ability. “Should I learn another language so I can get these benefits?” To me, that always sounds like, “Should I climb Mount Everest so that I can tone my calves?” Certainly your calves will get more toned if you climb Mount Everest, but you also will have climbed Mount Everest, which will have tremendous other benefits and hardships along the way. So if we can agree that linguistic diversity on Earth 1.0 has benefits and costs — the magnitude of which we could debate forever — what, if anything, would we do different on Earth 2.0? Should we even consider having one universal language? Or are we better off with our modern-day Tower of Babel? The Princeton English professor Esther Schor. de KORT [Papiamento]: Mi ta sorry, mi no ta compronde kiko bo ta bisando. VÁMOS [Hungarian]: Sajnálom, nem értem, amit mond. I had some final questions for the economist Shlomo Weber about an institution he’s been studying. DUBNER: Is the European Union, really going back to when EU was being put together, did that in any way parallel, do you think, the Tower of Babel? DUBNER: Considering that then there are a couple dozen languages officially in the EU, what does that translate to in costs, in terms of translation, time, and communication? WEBER: I think it’s a billion euros. But it’s tremendous cost, not only financial cost but also in terms of communication and ability of people to understand. On the one hand, you would like to publish all the documents of the Union in all the languages that the people will understand. But then it becomes a nightmare. DUBNER: All that translation, I’m gathering is not done by machine-learning, by robots? WEBER: Not yet. Then, of course, you cannot find people who can speak at the same time Maltese and Estonian. You need to have to translate it from Maltese to Estonian, and first from Maltese to English, and from English to Estonian. [To] give another, even more painful example, about the patent application: if you need a patent in different countries, you really have to do it in every country, because there is no unified legislation across the Union. Every company in every country has to go for different patent, and it delays so many things. DUBNER: You made the argument, along with a couple co-authors, that the best thing for the E.U. to do would be to settle on three core languages: English, French, and German. Although you said Italian could be substituted for French. DUBNER: But then you thought about it a little bit more. You discussed how there could be six core languages including Spanish, Polish, and, again, Italian or French. The E.U. obviously read this. How much did they love your idea? WEBER: It’s not that the people didn’t like it. On some individual level, people agreed that there should be something like that. But it’s so difficult to change the policies, because all the countries have a veto power over linguistic policy; it’s written in the European constitution. You need really to go for every country to try to waive the veto right, which is impossible. DUBNER: Let me ask you this, Shlomo. You’ve made it clear that you consider Brexit to be a bad move and a sad move. But on the other hand, just playing devil’s advocate for a minute, the more I hear you talk about just the language issue in the E.U., I can see why England would want to get the hell out. It sounds like if you can’t even get to the point where you can eliminate some of $1 billion dollars of simply translation costs because everybody’s language is essentially an official language — that just sounds to me like bureaucracy to the nth degree; frustrating, and really hard to get anything substantial done. Tell me why you don’t feel that way. WEBER: There’s the basic thing that’s the conflict between globalization and localization. I don’t think we do a very good job of doing that, so I would go with global language on some higher level. But still keeping the local language for everybody, because sensibilities of the people — you want everyone to engage? Please give the people a reason to do so. McWHORTER: If language were not inherently mutable, if some language had developed, probably 150,000 years ago, and it had stayed more or less the same among all the different groups of humans, except maybe some different words, then not only would a whole lot of communication problems not be there. Not only could we perhaps argue that some wars would have been less likely to take place. But I can guarantee you this: nobody today would be standing around saying, “Wouldn’t it be nice if actually there were 7,000 different languages and people had trouble understanding each other and we had to have translators?” As much as I delight in the variety of languages that there has come to be by accident, the truth is that if we could start again, I don’t think anybody would wish that the situation was the way it came out. “If we could start again …” Well, by the power vested in me as a podcast host, we can. Coming up next time on Freakonomics Radio: we pretend that all the colonial baggage and global bureaucracy on Earth 1.0 don’t exist and we try to come up with the optimal language plan for Earth 2.0. McWHORTER: I would say that an ideal, in the future, is that everybody in the world can communicate in one language and that then people have another language that they use with their in-group and that we have as many of those languages as possible. McWHORTER: You would need, oddly, a language that had a lot less in it than many people would expect. GORDIN: That leveraging — the way children can soak up languages almost effortlessly — would improve some aspects of the system. MACIEIRA [Brazilian Portuguese]: Isso vem no próximo episódio. IVANOV [Russian]: Это будет в следующем выпуске. SILVIANA [Bahasa Indonesia]: Yang akan datang selanjutnya. de KORT [Papiamento]: … sigi proximo. Freakonomics Radio is produced by WNYC Studios and Dubner Productions. This episode was produced by Stephanie Tam. Our staff also includes Alison Hockenberry, Merritt Jacob, Greg Rosalsky, Eliza Lambert, Emma Morgenstern, Harry Huggins, and Brian Gutierrez; we had help this week from Sam Bair. Special thanks to our intern Kent McDonald — and to the many listeners who contributed their voices, and their languages, to this episode. Luis Guerra composed our music. You can subscribe to Freakonomics Radio on Apple Podcasts, Stitcher, or wherever you get your podcasts. You can also find us on Twitter, Facebook, or via email at radio@freakonomics.com. Lera Boroditsky, associate professor of cognitive science at the University of California, San Diego. Michael Gordin, professor of history at Princeton University. John McWhorter, associate professor of slavic languages and linguistics at Columbia University, and host of Lexicon Valley at Slate. Esther Schor, professor of english at Princeton University. Shlomo Weber, director of the New Economic School. Bridge of Words: Esperanto and the Dream of a Universal Language by Esther Schor (Metropolitan Books, 2016). Does Science Need a Global Language? : English and the Future of Research by Scott Montgomery and David Crystal (University of Chicago Press, 2013). “Ever Closer Union or Babylonian Discord? The Official-Language Problem in the European Union,” Jan Fidrmuc, Victor Ginsburgh, and Shlomo Weber (2007). The Evolution of Language by W. Tecumseh Fitch (Cambridge University Press, 2010). Finding Our Tongues: Mothers, Infants, and the Origins of Language by Dean Falk (Basic Books, 2009). How Many Languages Do We Need? : The Economics of Linguistic Diversity by Victor Ginsburgh and Shlomo Weber (Princeton University Press, 2011). “How Language Shapes Thought,” by Lera Boroditsky, Scientific American (2011). “Is Bilingualism Really An Advantage?” by Maria Konnikova, The New Yorker (January 22, 2015). “Linguistic Distance: A Quantitative Measure of the Distance Between English and Other Languages,” Barry Chiswick and Paul Miller (2004). “Native Language, Spoken Language, Translation and Trade,” Jacques Melitz and Farid Toubal (2014). “The Role of Language in Shaping International Migration,” Alicia Adsera and Mariola Pytlikova (January, 2012). “Russian Blues Reveal Effects of Language on Color Discrimination,” Jonathan Winawer, Nathan Witthoft, Michael Frank, Lsa Wu, Alex Wade, and Lera Boroditsky (2007). Scientific Babel: How Science Was Done Before and After Global English by Michael Gordin (University of Chicago Press, 2015). The Story of Human Language, Part 1 by John McWhorter (Teaching Company, 2004). “What is Universal in Event Perception? Comparing English and Indonesian Speakers,” Lera Boroditsky, Wendy Ham, and Michael Ramscar (2002). 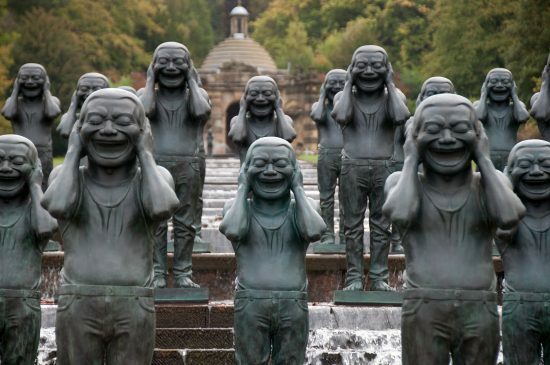 “Is Learning a Foreign Language Really Worth It?” Freakonomics Radio (March 6, 2014).